Every year, corporate event planners get together to come up with a list of the top locations to host an event, usually based on budget, proximity, accessibility, and of course, the uniqueness of the city. In the past 4 years, Barcelona has gained a reputation of being the easiest city to host corporate events because it meets all of the planning criteria above. So how does one stand out in a popular city for corporate events? Choose the perfect event space. Today we're sharing one of the most unique Barcelona event venues, El MNAC, to inspire you to create your most enjoyable corporate event yet. Let's begin the tour! It's no secret that the world of corporate events is becoming exceedingly competitive and hard to keep up. From the latest event trends, like food trucks and VR, event planning requires not only creative thinking, but extensive research. When hosting an event in a foreign country that speaks a foreign language, research can be an absolute nightmare. 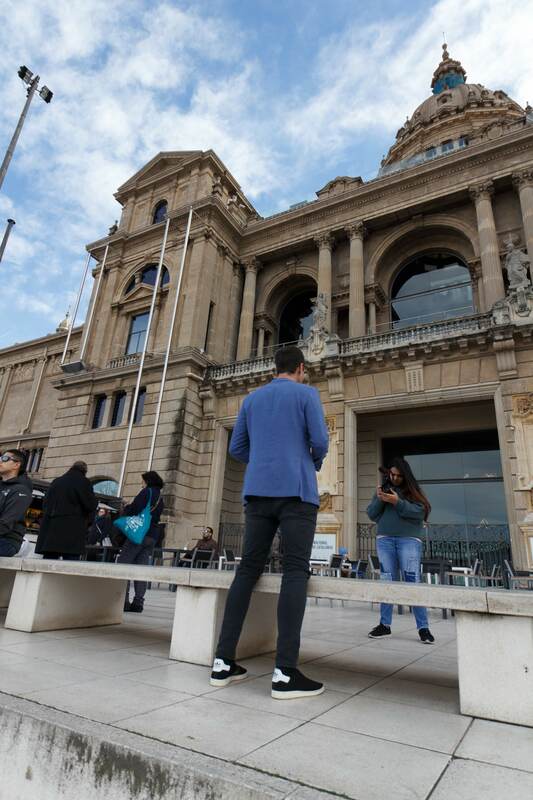 In an effort to save you time and money today, we've done a complete tour at one of our favourite Unique Barcelona Event Venues, the National Catalan Museum of Art, in Catalan known as El Museu Nacional d'Art de Catalunya. This large-scale event venue is truly one of the most spectacular spaces in Barcleona due to its natural lighting, the incredible Medieval and Romanesque artwork it hosts, and not to mention, it's a national landmark! El MNAC is located in the Palau Nacional of Montjuïc, which began initial construction in 1929 for the International Exposition. In 1934, El MNAC was officially open to the public as the Museu d'Art de Catalunya, with the purpose of displaying an immaculate Medieval collection of artwork. In 1995, the museum underwent a change of identity, and was called El Museu Nacional d'Art de Catalunya (MNAC). Due to the new rooms of Romanesque Art that were added to the museum, the process of expansion was set in motion. After adding Modern Art to the list of artwork on display, they decided to end the artwork in expansion in 2004, leading to a complete and impressive collection of varied styles and techniques. 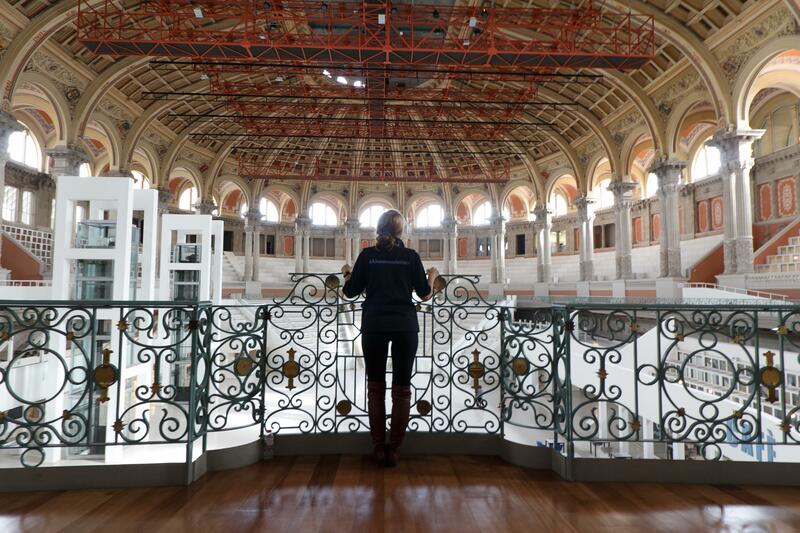 Want to see what El MNAC looks like when it's closed to the public? Watch Episode 2 of the Akommo Venue Experience below! Throughout the year, they host seasonal and temporary exhibitions to keep the spirit of open-mindedness and creativity alive. El MNAC is conveniently located just near the Plaça Espanya landmark and connected to the popular Plaça Espanya metro station. In the summertime, it's one of the most beautiful places to enjoy sunsets, private cocktail soirées, and exclusive terrace dinner parties. In the winter and colder months in Barcelona, it's the ideal venue for large-capacity events. There are 7 gorgeous rooms and halls that can be used to host your next event! The event spaces are hand painted and decorated, many of which dating back to the early 1900s, and each have a story of their own to tell. 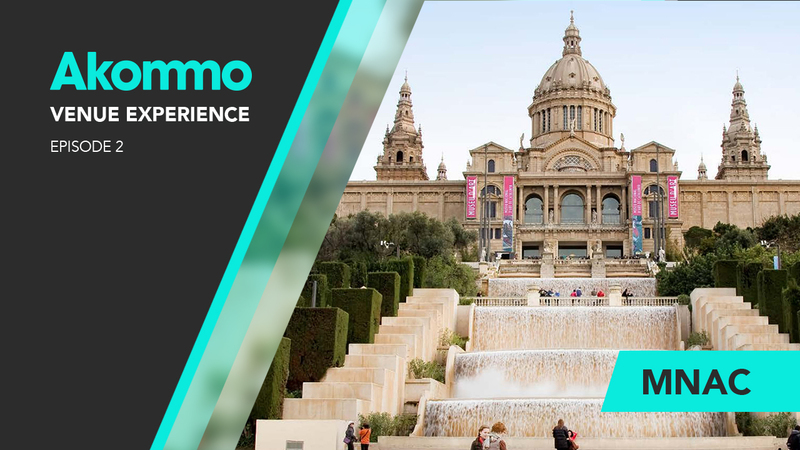 Within the video guide by Jason Greenman, the CEO of Akommo, you'll get a private tour of 4 of our favourite event spaces within the MNAC. The Akommo Venue Experience allows you to get a behind-the-scenes look at the most unique Barcelona event venues! Be sure to subscribe to the Akommo YouTube Channel to discover a new Barcelona event venue every month! 1.) The Oval Room (Sala Oval) - The Oval Room is easily one of the largest event spaces in the downtown area of Barcelona, not to mention, all of Europe. This luminous space adds up to 1,600m2 total, can host about 1,400 people in cocktail and receptions format, 1,400 people in concert and theatre format, 1,200 people for a banquet or gala dinner, and 500 in amphitheatre setup. 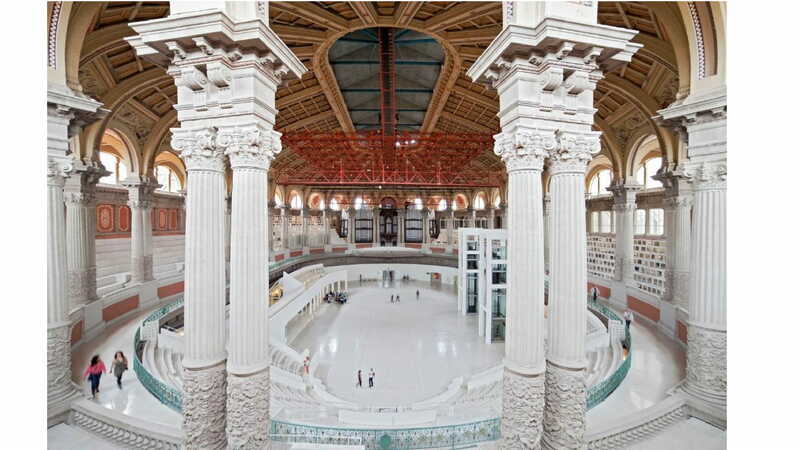 The most unique and interesting feature of this large-scale event space is the 34-metre-long and 11-metre-high organ from 1929! The organ was enlarged in 1958, inaugurated by Fernando Germani, who had the honour of playing all 2,500 pipes. Unfortunately the organ is no longer in use, and would require a massive investment to restore this instrument. Be sure to look up at the carefully decorated and engraved ceiling! In total you'll find 56 coats of arms on the arches that surround the gallery, 50 of which represent the various Spanish provinces. Try and identify all 50 coats of arms on your next trip to the MNAC! As you can see in the video, years of care, restoration, and lots of love from the dedicated workers who so passionately maintain this building in its pristine state. 2.) The Dome (La Cúpula) - This stunning 300m2 hall is a great spot to host an intimate cocktail party. Imagine your 140 guests mingling while sipping on some of the most renowned Spanish wines and snacking on traditional Catalan tapas. The gorgeous murals you'll find floating overhead were commissioned by the Spanish artists Manuel Humbert, Josep de Togores, and Francesc Galí. The paintings and sculptures religion, sciene, the fine arts, and the Earth, all coming together and functioning harmoniously amongst each other. The Spanish sculptors Enric Casanovas and Josep Dunyach created in artificial stone the personifications of work and religion, and of law and order. The intricate ceiling of La Cúpula in the MNAC. The typical use of this space is to host a pre-dinner drink before welcoming your guests into the prestigious Óleum Restaurant. Famous for its outstanding views of Barcelona, the Óleum Restaurant will be sure to please your guests in every sense. The Mediterranean cuisine makes for an evening of delicious food in a superiorly-decorated space. This event venue is for those who appreciate fine art, fine food, and exceptional views overlooking Barcelona. The Óleum Restaurant is located within the old Throne Room of the Palau Nacional, which is where King Alfons XIII opened up the International Exposition of 1929. The reflective effect of the mirrors on the ceiling heighten the views and seemingly amplify the space of this 230m2 restaurant. This restaurant within the MNAC can host up to 140 people in cocktail and reception format, and 100 people in seated dinner format. 4.) The Terrace - There are few things as enjoyable as springtime or summertime in Barcelona. In a city where the sun shines on average 310 days a year, your guests will appreciate having a cocktail party on the stunning terrace of the MNAC. For a medium-scale cocktail reception, you can host up to 400 guests on this open-air terrace. If you're looking for a space to wow your guests, share your affinity for the beauty of the uniquely-constructed Barcelona, and enjoy the delicious weather, this is a great spot to host your upcoming evening under the stars. 1.) Outdoor Cocktail Reception - Host a summer cocktail on the terrace and look down on the Magic Fountain Show just below. The cool breeze on a warm summer night and a freshly-made long cocktail will refresh your guests during your next corporate cocktail event in Barcelona. 2.) Regal Gala Dinner - The Oval Room is truly one of the most immaculate event spaces in Barcelona to host a wide range of events. In the past, our clients have requested to use the space as large hall to host a regal gala dinner. Tell your guests to dress to impress, because this unique Barcelona event venue definitely calls for a tuxedo and gown. 3.) 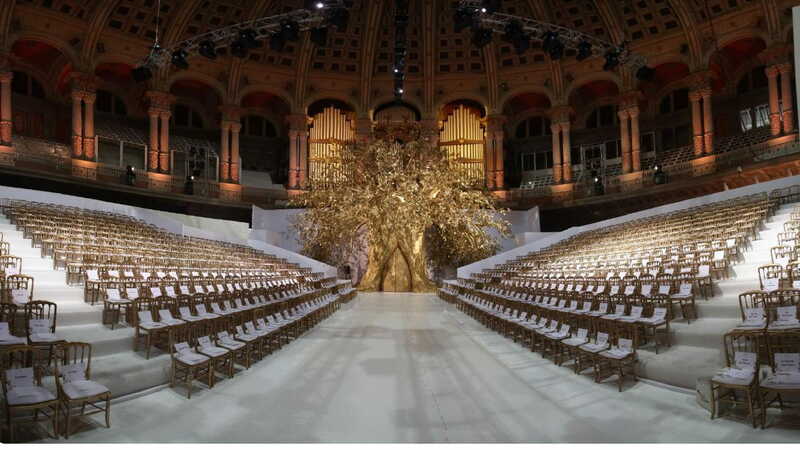 Fashion Show - As you can tell from the enormous size of the Oval Room and its impressively high ceilings, the sky is the limit for event set up options. 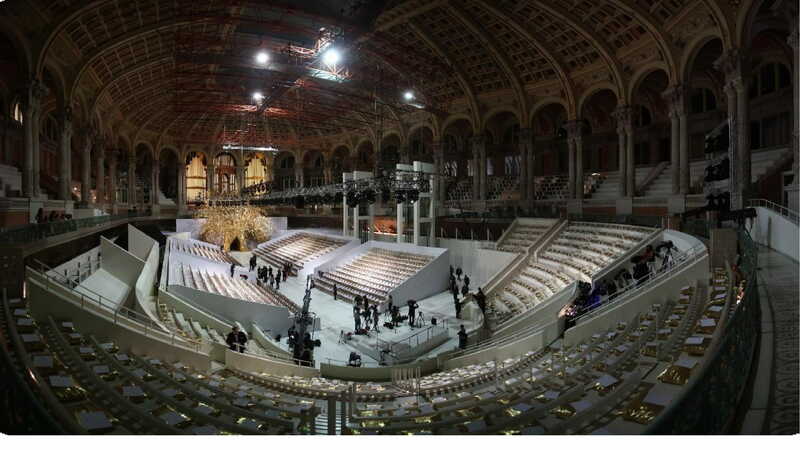 Host a fashion show with up to 100 rows per side to provide maximum capacity for your Barcelona fashion show. 4.) Awards Ceremony - Convert this multi-purpose space into an auditorium fit for an awards ceremony! Whether your ceremony is an internal corporate event, or you're looking to host a broadcasted ceremony, this is one of the top contenders within the Barcelona city centre. 5.) Dinner Party with Views - If you're looking for something a little smaller-scale, infinitely intimate, and with some of the most stunning views of the city, the restaurant Óleum is the perfect space. Not to mention, you can host a cocktail reception within the hall just outside - don't forget to look up at the Sistine Chapel-esque murals on the ceiling. Need more venue options? Watch Jason give a private tour of the famous Casa Llotja de Mar. By teaming up with local venue-sourcing agencies like Akommo, you'll save countless hours of research, negotiation, and ultimately peace of mind. If you're ready to think outside of the box and host a unique corporate event in Barcelona, just ask us for a hand. Akommo provides venue-finding services at no extra cost to you and your team. Send an email with your event requirements to venues@akommo.com when you're ready to receive a free proposal with various unique Barcelona event venues for your next event!